: "I know nothing in the world that has as much power as a word." - Emily Dickinson In a generation built on texts, tweets, memes, and irony, what has become of the weight of our words? In what way does communication serve as a form of self-expression, and self-expression a form of communication? Mattioli Production's upcoming documentary "Words" will explore how people navigate gender and identity in the open and evolving landscape of New York City. Using some if NYC's most fluid scenes as a backdrop, Mattioli Productions will investigate how masculinity, femininity, and everything in between are contextualized in a range of environments, from the theatre world to early childhood education. 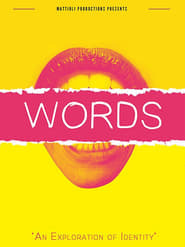 Featuring exclusive interviews from a variety of artists, activists, icons, and innovators to be announced, "Words" promises to be a poignant and powerful tribute to the language we use to shape our identities.